If you have a cell phone, you’re in good company. According to the Pew Research Center on Internet & Technology, about 95 percent of Americans own a cell phone of some kind. Among those with phones, 77 percent have a smartphone. There’s no question that mobile phones are popular, but does being common mean a device is automatically subject to a search? Do the police have a right to grab one any time they’re searching a person or a house, just because a phone might have evidence on it? The U.S. Court of Appeals for the District of Columbia said no in a 2-to-1 ruling in August 2017. In the case, United States v. Griffith, the court actually applied its ruling to cases involving computers, phones, and other electronic devices. In the case, the police had obtained a warrant to search a man’s home for cellphones or other electronic devices in connection with his suspected involvement in a 2011 murder. The man was later convicted of unlawful possession of a firearm by a felon. 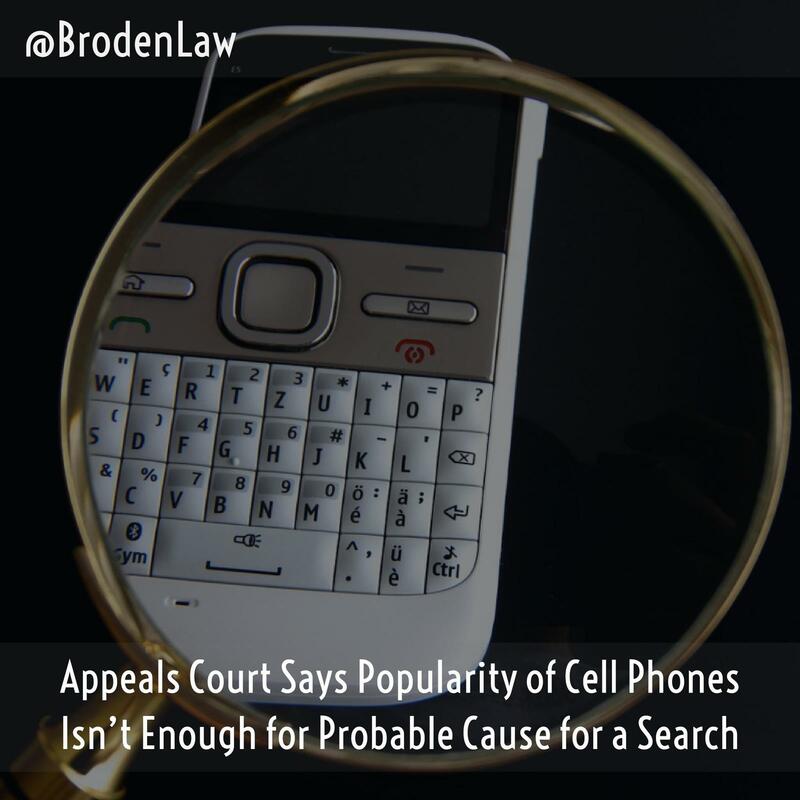 The court stated that the warrant was overly broad, as the police did not have probable cause to believe the man even owned a cellphone, or that any phones inside his residence had incriminating evidence on them. Furthermore, there was no logical reason to link the man’s suspected crime — being the getaway driver in a murder — to a cellphone or any other electronic device. Just because a lot of people have phones, the court reasoned, does not mean police have carte blanche to seize them and search them anytime they feel like it. During the search of the man’s home, police found a gun that had been tossed out a window. They also seized six cellphones and a tablet computer that were inside the residence. The man’s defense lawyers successfully argued that evidence involving the gun should have been suppressed, as it was seized pursuant to an unlawful search. Although the gun was the “fruit” of the search, its discovery was brought about by an unconstitutional search warrant.